Are you looking for a recipe to break you out of your chicken rut? This sauced-up chicken thighs recipe will do that. 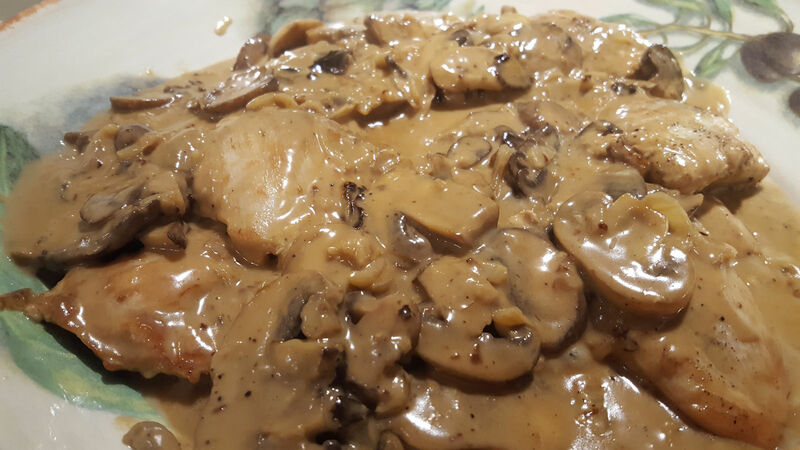 The mushroom-onion cream sauce elevates boneless chicken thighs to a lip-smacking level of yumminess your family will thank you for. This post contains affiliate links for your convenience. I receive compensation to help support publishing this blog when you shop with these links. 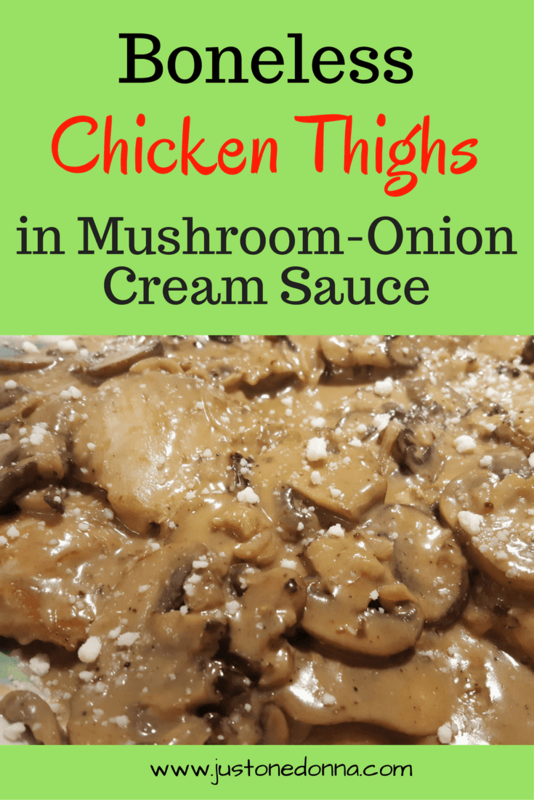 Caramelized onions are one of the keys to the amazing flavor of this chicken dish. Yes, they take a little time and effort. You may be tempted to rush this step in the preparation process, but taking the time to caramelize the onion will add great depth of color and flavor to the end result. Please don't rush this step. Tip: Make your caramelized onions in advance to shorten your time in the kitchen when preparing your dinner. You might also want to caramelize extra onions so you'll have some to make my favorite caramelized onion dip. Don't crowd the pan when making this dish. You want the ingredients to get a little color as they cook. They need a little room in the pan for that to happen. Choose a frying pan big enough for the recipe. My large, rectangular electric frying pan is perfect for this recipe. Feel free to substitute boneless chicken breasts for the boneless chicken thighs in this recipe, if that's what you prefer. You could also cut the chicken into chunks if you like. Just adjust your cooking time as needed. The cream sauce makes this an indulgent recipe, especially when served with mashed potatoes. That means it isn't in my weekly menu rotation. I reserve this dish for those dinners when a little indulgence is appropriate. Heat the oil and butter in a large skillet over medium heat. Add the onions to the pan. Season the onions with a little salt and pepper. Cook the onions gently, stirring occasionally, until they are brown and caramelized. This will take about forty-five minutes. Remove the onions from the pan. Season the chicken thighs with salt and pepper. Turn the heat up to medium-high. Brown the chicken thighs on both sides. Remove the thighs from the pan. Reduce the heat in the pan to medium. Add a little more butter or olive oil, if necessary. Add the mushrooms to the pan. Let the mushrooms sit in the pan a bit so they start to brown. You want to get a little color on the mushrooms. When the mushrooms are softened and beginning to brown, add the onions to the pan. Stir to combine. 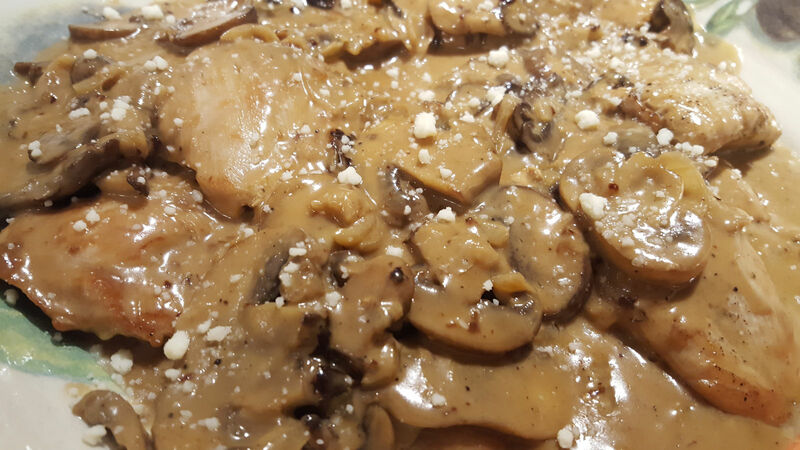 Sprinkle the flour over the mushrooms and onions. Stir to distribute the flour. Cook for one minute. Add the chicken stock to the pan and stir to release all the yummy bits from the pan. Stir in the heavy cream and balsamic vinegar. Add the chicken thighs back to the pan. Reduce to simmer. 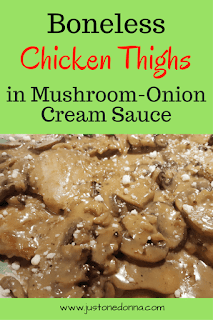 Cover and cook the thighs for 30-40 minutes, until cooked through. Taste the sauce and add salt and pepper as needed. Thank you for sharing this recipe with your friends on social media. Your Facebook, Twitter, Pinterest, and Yummly shares are greatly appreciated.